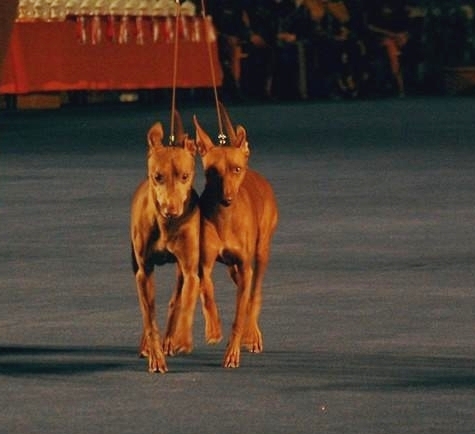 The double International Dog Shows of Arezzo and Pistoia in Tuscany is one of most important event canine in Itale, it's a fixture for us and also this year it's gone very well with Fiorino that both days is Best of breed...!!! Fiorino is 1° excellent in Champion class Cacib and Best of Breed..! Mariolà is 1° excellent in Champion class Cacib and Best female...! Fiorino and Mariolà are the third Best Brace of the Show..!!! There is also the little and beautiful Violetta dell'Ovo, breeder by us daughter of Donna Aga e Vispo, owned by our dear friend Utta Moro, great Saluki breeder, kennel "Dahabi", she is 1° excellent in young class..! !....a very promising dog...! Special thanks to our cousins Luca e Valentina, owners of the little Fiammetta dell'Ovo, who are part of our Team and are always with us in the most important events..! !